Mom of Many Words: Purr-fect timing! Fall weather - the perfect time to curl up (like a cat, right?) under a blanket with a good book. 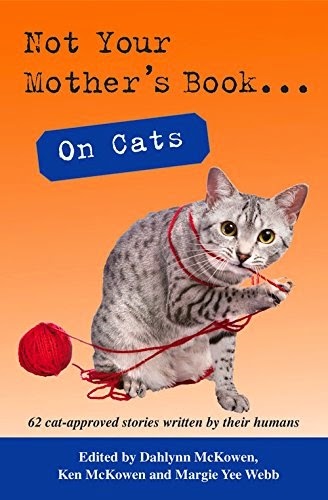 And I am VERY excited to announce that my story, Two and a Half Cats, was selected to be published among many funny, heartwarming, sweet reads all in one book - Not Your Mother's Book on Cats! You don't have to own a feline (actually, they would own you) to enjoy these stories.. but don't be surprised if you decide you're ready to adopt after reading them. Just remember... dogs have owners, cats have staff!